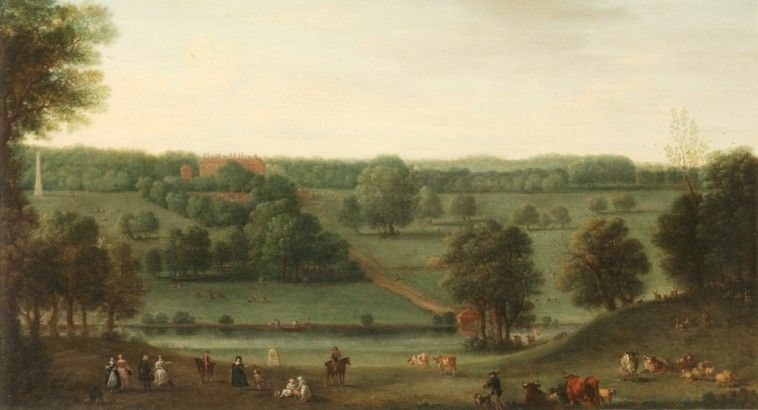 An introduction to the history of Cassiobury House, the Earls of Essex and the park. The first known house here was built in the sixteenth century for Sir Richard Morrison, who had been granted the manor of Cassiobury by Henry VIII in 1545. In the late seventeenth century, when the manor was owned by the Capel family, the house was partially rebuilt. In 1661, Arthur Capel was created Earl of Essex by Charles II when the king returned to England. The House was rebuilt in the early 1800s for the Fifth Earl of Essex, when it was extended and “gothicised” by James Wyatt, when battlements and other features were added. It was this house which was demolished in 1927. The Capels had already had to sell land to developers from the 1890s and in 1909 Watford Urban District Council bought 49 acres of the park to create a ‘people’s park”. Additional land was bought by the Council between 1913 and 1930 to create to the park as it is now. It has already been awarded a “Green Flag” and there are plans to improve the facilities and interpretation with a grant from the Heritage Lottery Fund. This page was added on 07/08/2015. Actually my dates are a bit out. The first parcel of land was bought by Watford Council in 1909 following a referendum. More was bought in 1930 after the demolition of the house. After the house was destroyed, the Council or Watford Corporation as it was then known debated whether to buy up the remaining parkland much of which had already been built upon. It as decided to put the issue to a referendum of Watford residents. The poll was duly held and the result was very close with a small majority opposed to purchase. The Council, in an act of foresight and bravery, decided to buy the land anyway and so today we still have our beautiful Cassiobury Park.